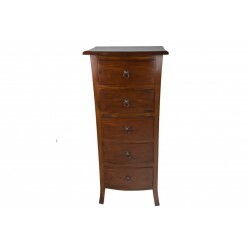 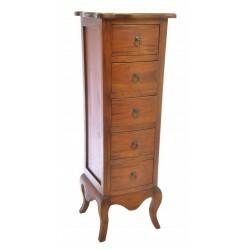 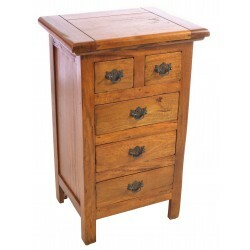 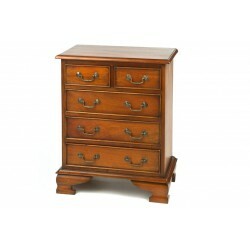 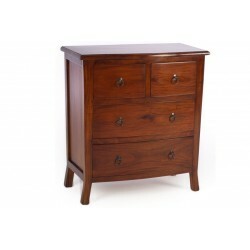 Large drawers, they are on this stylish chest of drawers. 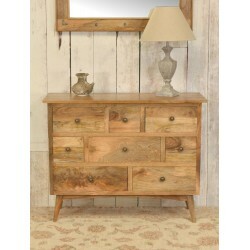 With a distressed finish to the solid mango wood and unique design this is a must buy for any style. 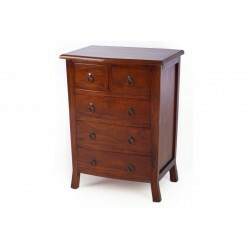 This solid mango wood chest of drawers has a unique take on the bow fronted design. Along with the distressed finish you have a stand out piece. 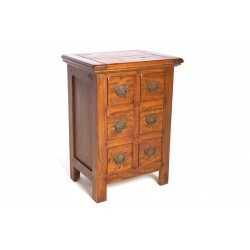 The stylised bow front of gives this chest of drawers its unique look. 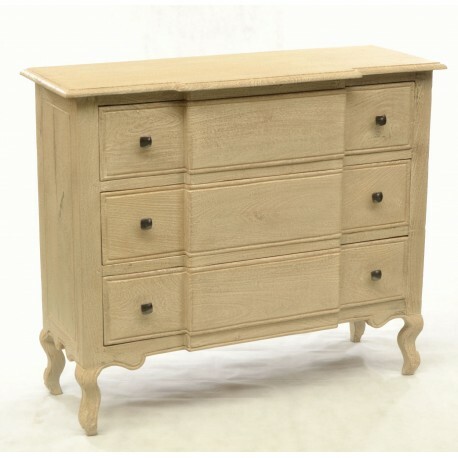 All finished with the graceful curves of the edges and legs. Once you add the finish where the distressing has left the grain slightly raised you have a focus piece for bedroom or living room. 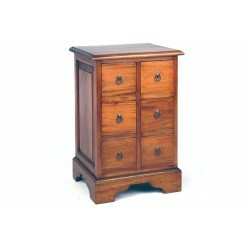 Where you use this chest of drawers is up to you in your bedroom, living room or even dining room. 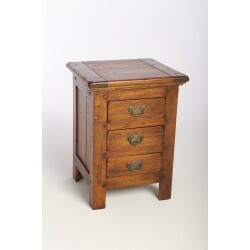 It will add a rustic charm to any room.